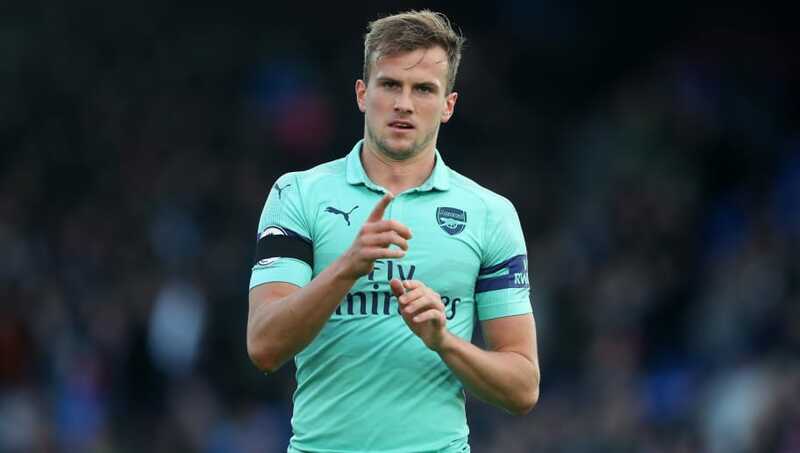 ​Arsenal have confirmed that defender Rob Holding ruptured the anterior cruciate ligament in his left knee against Manchester United, and will likely miss between six and nine months as he recovers. Holding collided with United forward Marcus Rashford nine minutes before half-time in Wednesday's 2-2 draw, and looked to be in real discomfort as he was stretchered from the field. The extent of ​Holding's injury was revealed by ​Arsenal on their ​official website. The club confirmed he is set to undergo surgery in the near future, and is expected to miss anywhere between six and nine months as he recovers from the serious injury. The 23-year-old had started Arsenal's last nine league games and helped the club preserve their unbeaten streak, which currently stands at 13 games. He has been a key player for manager Unai Emery, who will likely be devastated at the news of Holding's injury. Defensive injuries have proven to be a serious problem for Emery. Nacho Monreal, Laurent Koscielny and Konstantinos Mavropanos all remain unavailable for the Gunners, leaving Arsenal with just two healthy centre-backs, Sokratis Papastathopoulos and Shkodran Mustafi in the short term. Given Emery has preferred to field three central defenders in recent weeks, he now faces a serious tactical dilemma. He could opt to return to a formation with just two centre-backs, or ask the likes of full-back Stephan Lichtsteiner, who replaced Holding on Wednesday, to play a more central role. Before his injury, many had called for Holding to be given a chance to impress in Gareth Southgate's England side, but the defender will be forced to watch from the sidelines as he recovers from his injury.